Picture your work as an adventure today. 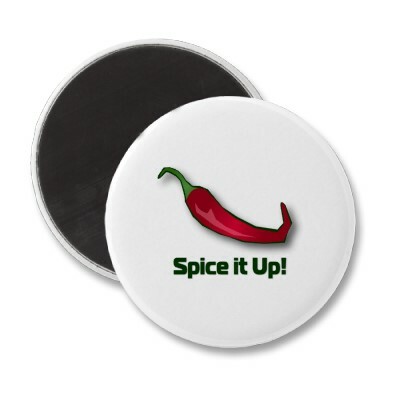 How can you "spice things up?" "There are two pains in life: The pain of discipline & the pain of regret. The pain of discipline goes away when you taste success. The pain of regret haunts you for the rest of your life." Thank God for forgiveness!! Love covers a multitude of sins! If I had to choose between the two pains, I think I would choose the pain of discipline. It's much safer to fall into the hands of the living God and be chastised than to deal with the pain of regret. David said in the Psalms that his sin was ever before him. Amen! I saw a Soldier at the door where the lock regularly jams. I decided to take the long way into the office by trying to help out. The Captian stuck at the door was one of the personnel clerks during my first company command! The bright, energetic Specialist earned her commission and was now the new Executive Officer for a battalion. What a great way to start the day. Thank you for managing this blog. Ever since I linked into it from an affiliate site, it has been a part of my daily devotional readings. Your efforts provide a guide point that helps to keep me focused throughout the day.